GigaOm's Stacey Higginbotham covers the deployment of ARM servers at Baidu. Chinese search engine giant Baidu is using ARM-based servers from Marvell making it the first company to depend on servers using the cell-phone chip in a production environment. 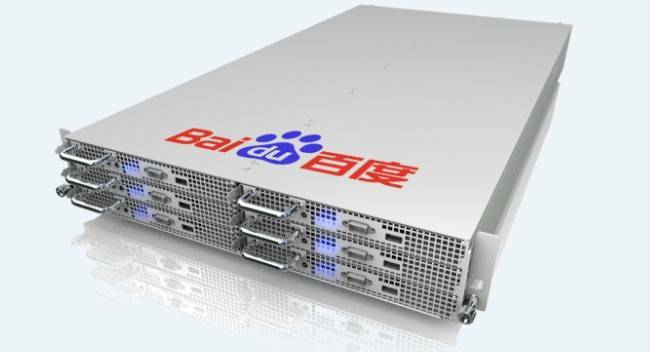 Baidu is using the new ARM servers in its cloud storage application named Baidu Pan. The area the servers used are for cloud storage. Marvell’s release says the chip firm customized the ARM servers specifically for Baidu’s cloud storage requirements, taking the concept of server customizationcommon in webscale deployments to the chip level. Marvell says the platform is designed to increase the amount of storage for conventional 2U chassis up to 96 TB, and to lower the total cost of ownership by 25 percent, compared with previous x86-based server solutions. The end result should cut Baidu’s power in its data center by half according to the release. I know my Drobo FS is powered by an ARM. We'll see who next launches ARM servers. I have a feeling this could be a regular occurrence. Here is a picture from the Register. Avi Liebermensch, manager of server products at the maker of ARM processors and other kinds of chips, tells El Reg that the Baidu server is based on the company's Armada XP MV78460. This is the same quad-core processor that Dell chose for its "Copper" ARM sled servers announced last May and purchased by unspecified customers of its Data Center Solutions bespoke server business unit. TheBaserock slab ARM server from Codethink also uses this Marvell processor as its main engine. Liebermensch was not at liberty to give a lot of details on the Baidu machines, and China is celebrating its New Year right now so people in Beijing are not around to answer calls. But Marvell did sneak us a picture and gave us some insight into the machine that Baidu has worked with Marvell and an unspecified ODM to create.